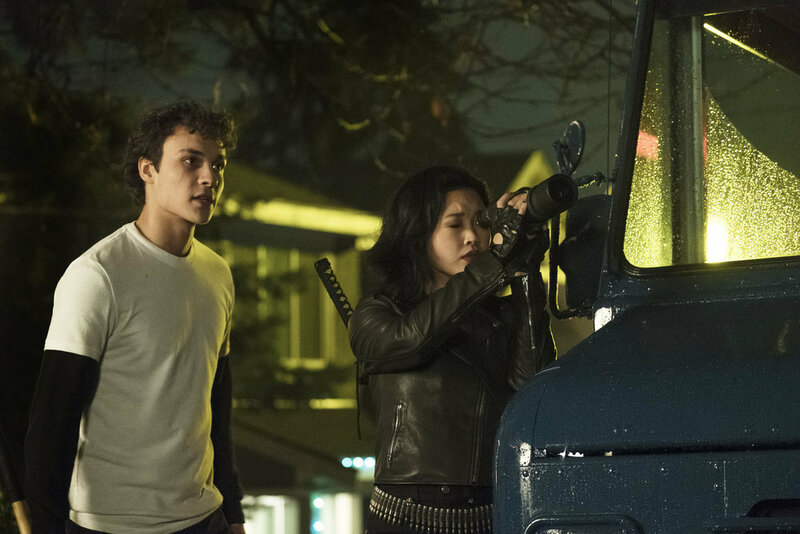 The first season of SYFY’s comic book adaptation Deadly Class has officially wrapped. While we all wait on a hopeful Season 2 renewal announcement, ComingSoon.net spoke with star Taylor Hickson over email to discuss the epic (and heartbreaking) season finale, Petra’s growth since the first episode, and what she hopes to see in Season 2. 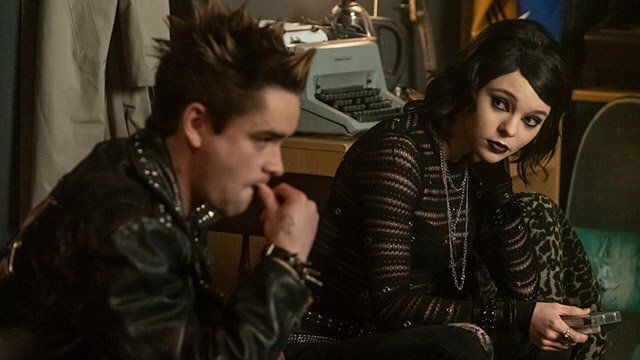 Check out the interview below and share your thoughts on the Deadly Class Season 1 finale! ComingSoon.net: Why did Petra ultimately decide to help Marcus and the others go after Chester? Taylor Hickson: I think the answer comes from Marcus [Benjamin Wadsworth] when he states “Family isn’t defined by blood.” These kids are longing for love and bonds that have been absent throughout their upbringing. I think they’re finally beginning to find that with each other. CS: Petra and Billy [Liam James] grow closer in the finale, even in the middle of the raid. Can you share your thoughts on their relationship and if this life or death event could strengthen that bond? Hickson: Billy and Petra’s relationship has been one of my favorite throughout Season 1. It’s what I’ve, personally, been most strongly rooting for and I really hope we have the chance to elaborate and see their connection build in (a hopeful) Season 2. I think the threat of death absolutely strengthened their bond. Truth comes to light at the most desperate of times. I think her fear of death is bigger than her fear of love at that moment and it allowed her to shed some of the walls she’s so tightly held on to for most of the season. You see her soften in this scene. It’s a really beautiful character development and growth for Petra. CS: How do you think Petra and Billy will be affected by Lex’s [Jack Gillett] death? Hickson: I think they would feel incomplete, to be honest. They did everything together. They’re the only people they trust in the whole world. Imagine losing that. Something you worked so hard to have, love and friendship, which has been such a rare presence in their life, be taken away from you. They would take a bullet to protect each other, very obviously. I think it would leave a hole in their hearts too big to fathom or heal indefinitely. CS: By the end of the finale, Petra and Billy are supposedly at the rendezvous alone. Do you think they would eventually go and check on what’s taking the others so long, or would they head back to King’s Dominion? Hickson: You don’t leave family behind. I personally could see Season 2 opening on them walking into the scene, with a big showdown. 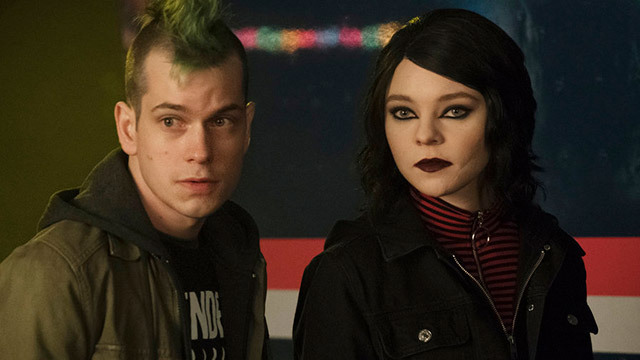 CS: Deadly Class is, in my opinion, one of the best new shows on TV. What do you think makes it so special? Hickson: Thank you! So amazing to hear that. Honestly, the chemistry. The diversity. The writing. The audacity to attack content matter that has been lost in the past few years. The 80’s backdrop, the clothing, and makeup. Most impressively, the way the comic was translated to screen through lighting, tone, and casting. CS: If the series is renewed (fingers crossed) what would you like to see happen in the second season? Is there a specific storyline you’d like to play or cast member you want to shoot more scenes with? Hickson: I would like to work with Maria [Gabriela de Faría], Siobhan [Williams], Luke [Tennie], and Sean [Depner] more! I didn’t have as much screen time with them, but it was always a blast. I, of course, want to see Billy and Petra’s relationship blossom, as it was something that kind of detoured from the original comic story arc. I think it adds that much more at stake. CS: What about Petra resonates with you? What do you enjoy most about playing the character? Hickson: Feeling lost. Especially in a time where you’re navigating high school (not to mention an academy where death is looming over your head 24 hours a day). I think that can resonate with a lot of people. Needing love and affection is just the human condition. No matter how you fight it. I love the total makeover. It really helps me to fit into Petra’s shoes and fully embody the character. I’ve never had such a drastic change onscreen, tonally or aesthetically. The new territory was a blast to play with. CS: Are there any favorite memories from set that stand out in your mind? Hickson: Definitely pranks. Ben’s [Wadsworth] a fun one to prank, because it ignites all-out war. No fun if they don’t fight back, right? Siobhan, Jack, and I once messed with this snack he couldn’t stop eating off my plate. As per usual. So we decided to teach him a lesson. It was a cucumber hollowed out with some kind of cream cheese, so we hid an M&M, mustard, mayo, nuts, etc., underneath. And, for dessert, we made him a macaroon. Made with dried figs and horseradish.